Councillor David Jones pictured outside the Hart Memorial Primary School at 3pm yesterday. The councillor is calling for a crossing to make it safe for pupils to cross the busy road at Charles St. INPT20-212. 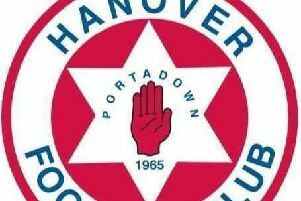 ABC Borough Council member David Jones detects “a touch of hypocrisy” in the current ‘Walk to School Week’ project, prompted by the Department of Education – especially when applied to the Hart Memorial Primary in Portadown. Said Mr Jones, who has grandchildren at the school, “I have been campaigning for many years for the authorities to provide a patrol person for The Hart, which had its three patrols taken away 11 years ago. “Yet, the authorities make a major publicity bid to encourage children to walk to school for one week only and everyone is supposed to jump to their tune. “I have since found out that The Hart participates in a year-round series (the Sustrans Travel Project) where children either walk or cycle to school throughout term times and there is a large take-up. So, enthusiasm like that puts the Department’s ’Walk to School Week’ somewhat in the shade. “The school won an award for the project during Danny Kennedy’s time as Stormont Minister, and they are to be commended. But it strengthens further the claims for road safety changes. “The education authorities have rather too strict conditions for putting patrol officers in place. It’s purely down to the volume of traffic. So, Portadown College – where students are aged 15-plus – have their patrol officers, while the 450 pupils at The Hart – from nursery age to 11 – are denied. He added, “I have again been in contact with Transport NI, Roads Services, and the education board in an effort to get at least yellow flashing lights at the school when pupils are entering or leaving during the day to warn drivers where they are approaching.